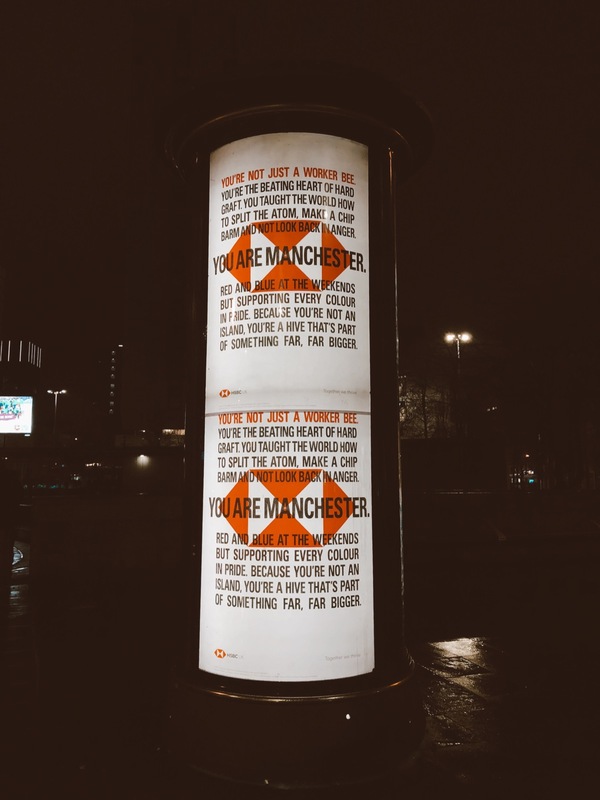 If you're stuck of ideas of what to do in Manchester, here's thirty, covering everything from bars and food to galleries and free things. Open six days a week and completely free to join or just walk around, it's a truly stunning building inside and out. Study, borrow books, play an instrument, browse some art or attend events. Just bear in mind it's not open on a Sunday. Like any city, Manchester's got all the shops you could ever need, and more. Enter Oklahoma, which in my eyes, is one of the best stores in town. Perfect for home interiors, stationery and gifts for almost everyone, whether you're buying or just browsing, you can easily lose an hour in this boutique store. The city has some of the best brunch spots. Even better of course, is bottomless brunch if you're seriously treating yourself. My current go-to is The Refinery in Spinningfields, where for £30 you get unlimited mimosas and a brunch dish. 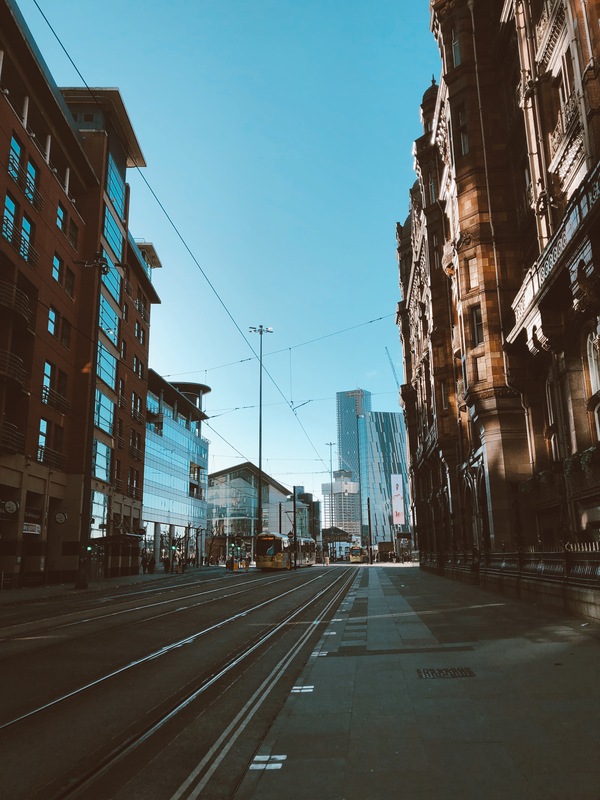 Hop across to the Northern Quarter where you'll be immersed in art and culture around every corner. Google it and you'll get all the locations of these incredible pieces of art. Junkyard Golf is home to three courses of crazy golf, all of which are fantastically themed. It's a perfect place day or night to have some fun and a quirky cocktail or three. It'll cost you around a tenner each for a round and at weekends can get super busy so try and book online ahead of time. Head out of the centre to Media City, home to Old Trafford, the BBC, ITV and Corrie. A 10-15 minute journey and you'll feel at peace next to the Ship Canal. Pop into The Botanist for a hearty lunch and some acoustic music before cocktails at sunset on The Alchemist's outside heated terrace. The bouncers here can be quite temperamental, but the actual venue is a laugh. With evening entertainment, a free photobooth and a place where you're actively encouraged to dance on the benches, it's a guaranteed good time. Friday lunch sees Tariff and Dale offer their all you can eat pizza and a drink deal. The pizza's incredible and the word's quickly spreading just how good this deal is, so where you can, book in advance. For two hours of pizza and a drink, expect to pay no more than £15. Have a night out with a difference at this huge ping pong hall and dance venue. It's a really laidback vibe and open 'til the early hours of the morning at weekends. YES, just off Oxford Road is a fairly new addition to the Manchester scene but hugely popular. It's got four floors of fun, from a basement gig venue to pizza by the slice, DJs, drink offers, a rooftop and an entirely pink room. They regularly host events and free film screenings, so worth keeping an eye on their events calendar. Manchester has some great galleries and exhibitions, even hosting the Vogue exhibition a few years ago. 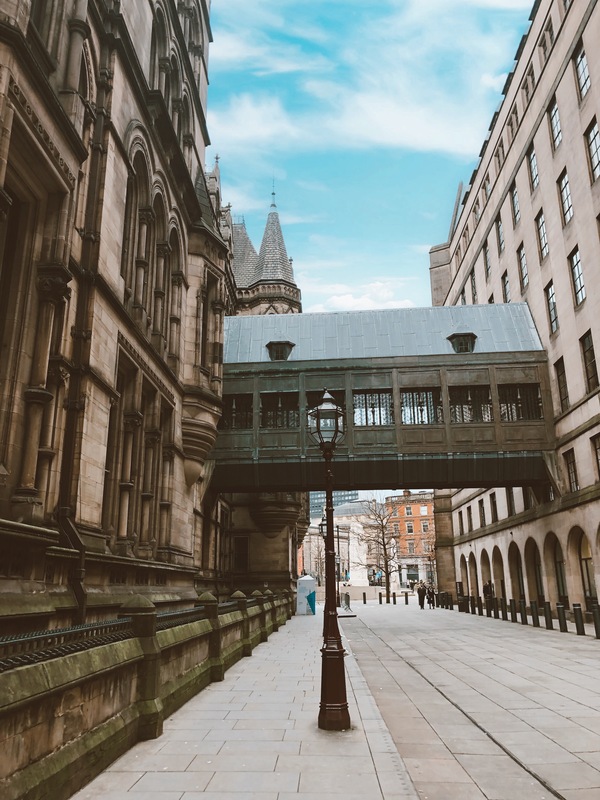 Check out the Manchester Art Gallery or venture a little further out of town to The Whitworth. The Manchester Museum is worth a visit for the stunning building alone, what's inside is good too! Also worth stopping by is the Science & Industry Museum, which has some incredible exhibitions. And the best thing is, they're free aside from the ticketed displays. Mackie Mayor is an ex market hall and is a beautiful building bursting with independent traders, so perfect if your group can't agree on what cuisine to eat. It's not cheap so don't be surprised by the cost! Fred Aldous in the Northern Quarter is the perfect craft heaven. It's got two floors of arts, crafts and gifts and the staff here are super friendly. They do the most amazing cakes, flapjacks and brownies here, along with coffee, lunch and dinner. My recommendation? Their oreo milkshake. It's to die for. 20 Stories is Manchester's highest outside bar. They currently have pop-up igloos and a glass of wine starts from around a fiver, so it won't break the bank. They do sometimes operate a dress code, so bear that in mind, and also at weekends you may have to queue. The city centre has three cinemas to choose from. If you're after mainstream films, head to Vue where tickets cost as little as £4.99. Or for independent films, head to HOME which also has a restaurant, gallery and shop. A tram ride to Altrincham will take you to Everyman Cinema which has sofas and they deliver food and drink to your seat. The number one place for brunch in my eyes. It's hugely popular so expect to wait because you can't book ahead of time. It's an all-day brunch eatery and I recommend the Classic E&G breakfast. It's great for people watching too and getting some work or blogging done from one of their window seats. Happening across the city, it's loads of independent retailers, traders and handmade items perfect for you or if you're present giving. Hop on a 20-30 minute tram ride to reach some of the most popular neighbouring areas. Chorlton, Altrincham and Didsbury all offer fab bars and restaurants and come the summer months, make great places to take a stroll. The Oast House and The Botanist have regular live music nights all for free. Their hanging kebabs are famous, as are their cocktails. There's two spots in town to get your bowl on: Dogbowl and All Star Lanes, open quite late and where you can grab food and drink too. Brewski in the city centre does two incredible boards. I am yet to try them, it's on my list this year, but from what I've seen on social - they look divine. Around £40 to share, you can either get a huge cheese board or their breakfast board. There's date and time restrictions and you need to book in advance! Refuge, part of The Principal Hotel has a lounge, DJs, a restaurant and a beautiful winter garden. Glasses of prosecco are around a fiver and if you're going for some nice drinks, it needs to be on your visit list. Moose regularly has people queuing outside of its door. It legitimately has one of the biggest breakfast menus in town, so if pancakes and brunch food are your thing, it's one to check out. A 20-30 minute tram ride out of town takes you to Heaton Park. It's a great walking spot all year round and has an animal farm for kids. Come summer, it's the perfect place to take a picnic and have an ice cream. Plus if you've got a tenner on you, you can hire out a rowing boat for just under an hour. If you want to let your hair down, the city's full of spots to have a dance. Here's some to consider: Cane and Grain, Terrace, Hula, Rev De Cuba, Neighbourhood, Guilty By Association and El Capo. Staying on the going out theme, there's loads of cute, cool and quaint places to grab a drink, or three. Here's some: Allotment, Northern Monk Refectory, Tariff and Dale, Cottonopolis, Refuge and YES. Come summer, there's not as many places outside to grab a drink in the sun. Here's some of the best: Dukes 92, The Corn Exchange, Rosylee and Edge Street. From music to comedy, there's loads of venues in town where you can listen to some music or spend the night laughing. Most sell out in advance so bear that in mind!